HttpWatch version 6.0 has been released and is now available for download. Any customers eligible for a free upgrade to HttpWatch Professional can install the latest version using their existing license key. If you’re not sure whether your license will work with version 6.0 go to Help->Check For Updates in HttpWatch and it will show you any available updates or upgrades. The comment field allows simple notes and annotations to be saved with each log file. We’ve kept the file format unchanged from version 5.x, so you can readily exchange log files with version 6.0. Although you cannot view some of the information such as the comment and browser version in version 5.x, this data is maintained if you re-save the log file and then re-open it in version 6.0. The automation interface maintains backwards source compatibility with interpreted script clients and binary compatibility with existing compiled clients (e.g. C#, C++, VB.Net). However, if you attempt to recompile an automation program with version 6.0, you may need to make some source code changes. 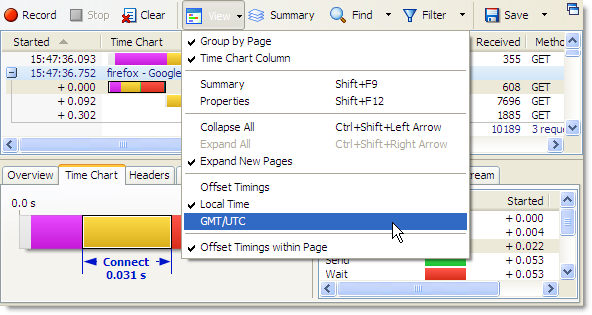 For example, the New method has moved from the Plugin object onto the Firefox and IE objects.